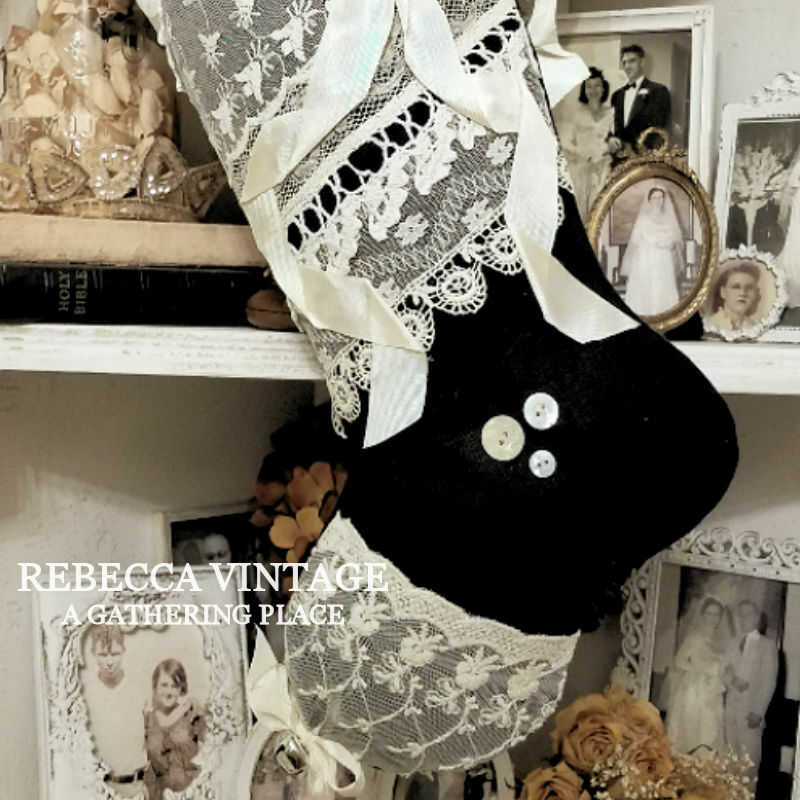 A gorgeous black linen and vintage lace Stocking! 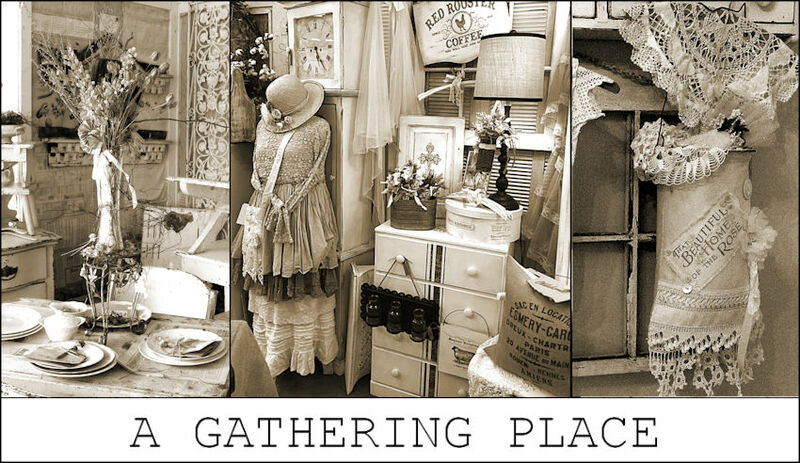 Perfect for the home where darker colors and welcomed and appreciated. A true keepsake, bold and daring! 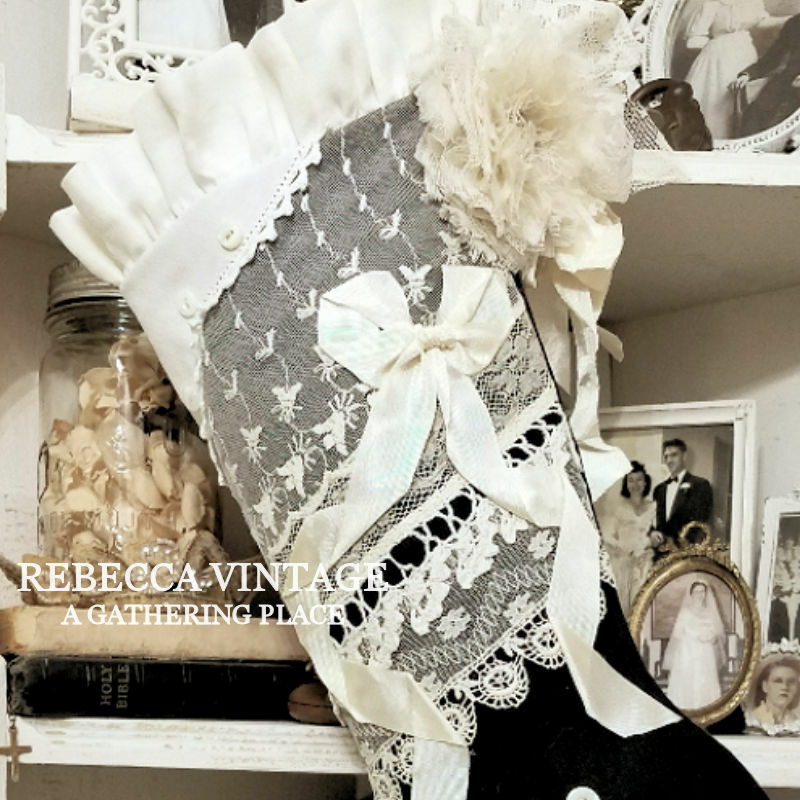 This one-of-a-kind Stocking comes accented with six vintage shell buttons and a removable tattered lace pin at the side. Includes a rhinestone center, vintage ribbon streamers and a flirty bow of lace! 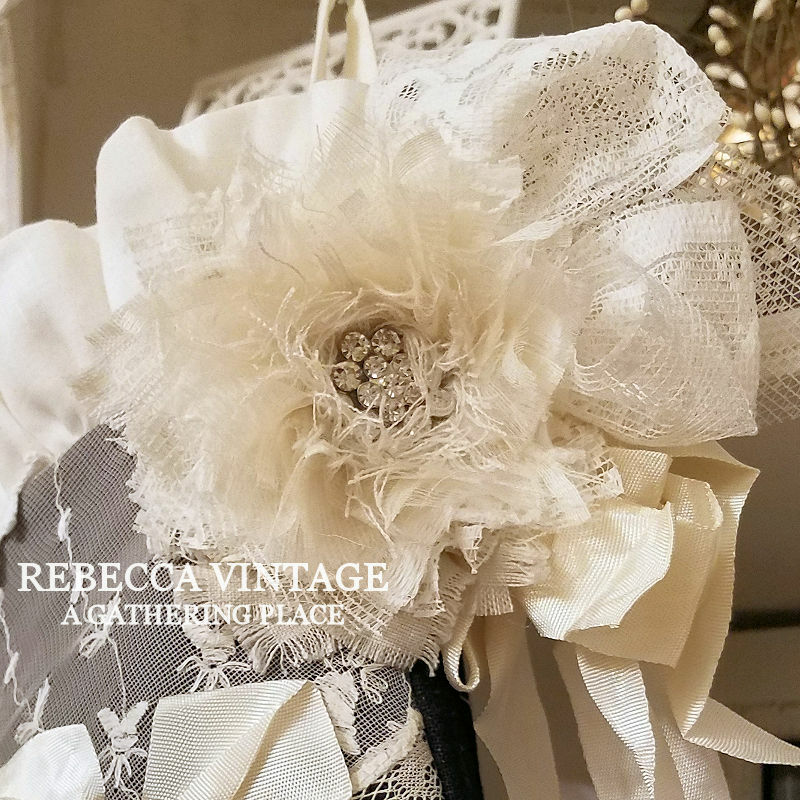 Across the front you'll find even more vintage ribbon cascading down the center. 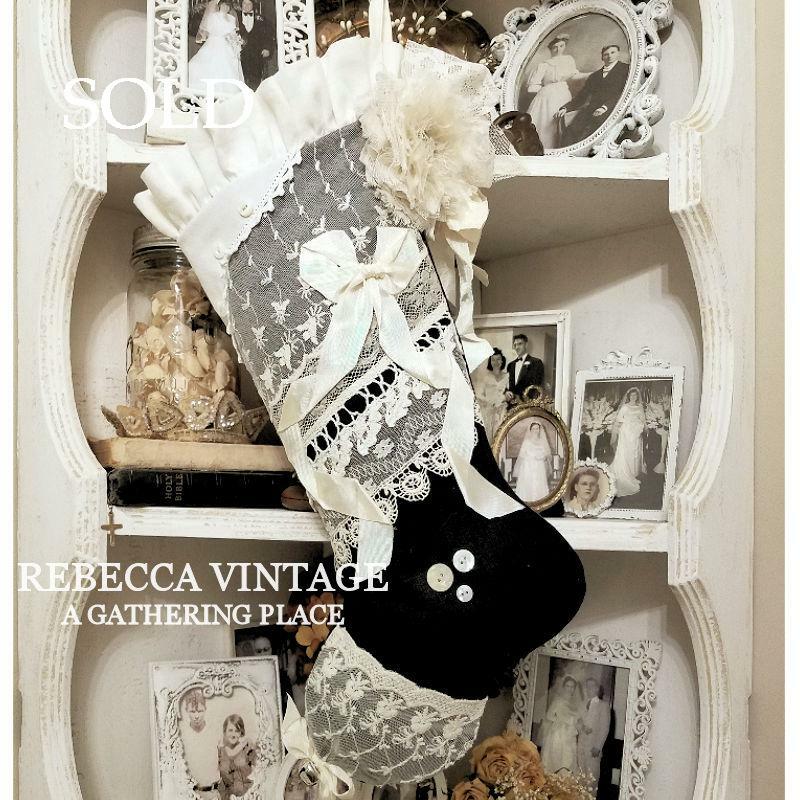 Stocking is backed with the same black linen used for the front. All around ruffle of soft white linen in generous and full. 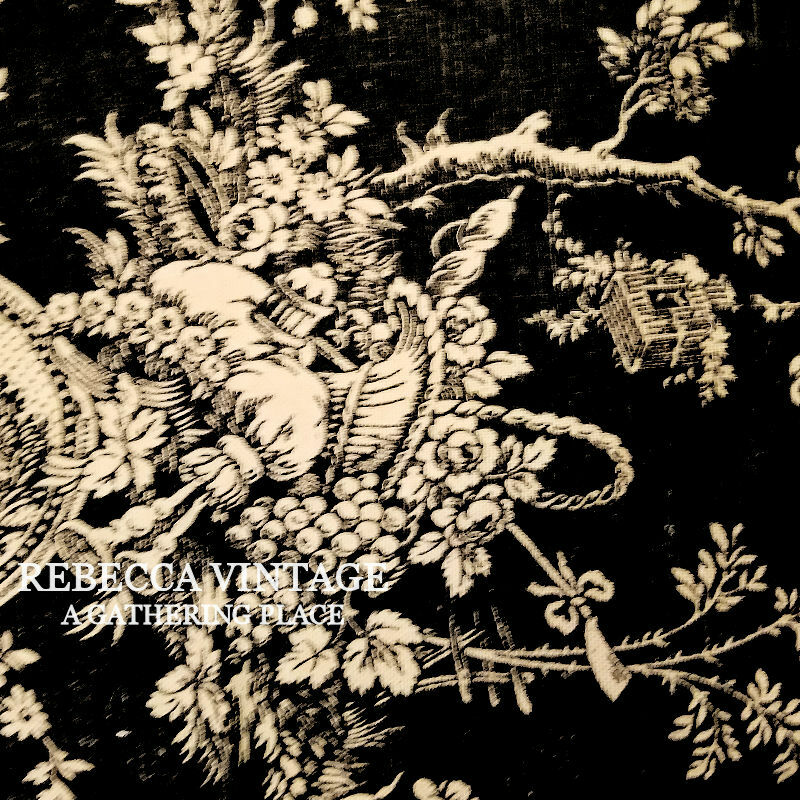 Lined with a black Waverly toile fabric! 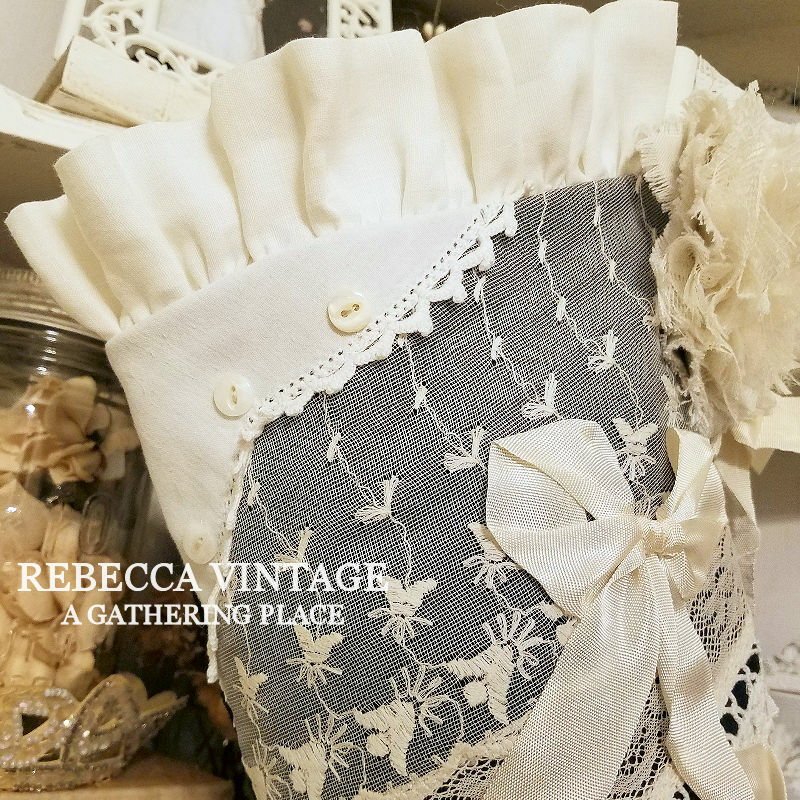 Measures approximately 8" x 18" including the ruffle. Happy to combine your shipping to save you money at the Post. Thank you so much for looking!